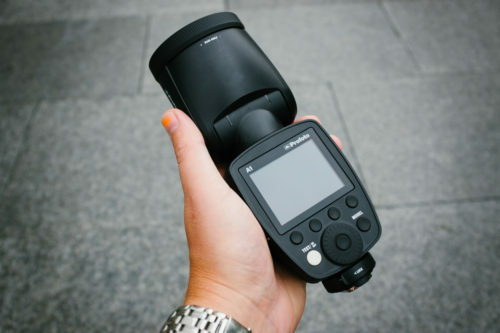 In short, A1 is a hotshoe speedlight-type of flash that works in the Profoto universe. With a built-in remote. 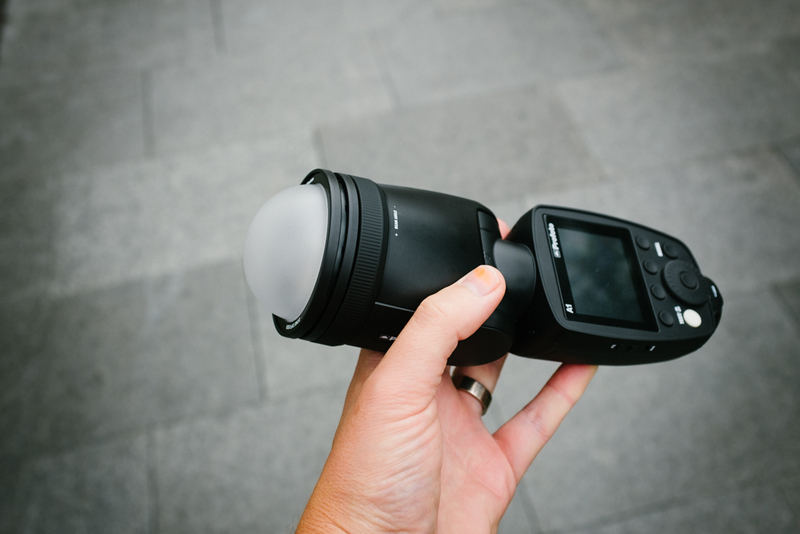 It is the most lightweight of all lights from Profoto, and has a built-in Air Remote TTL. If you want a flash for on-camera work as well as off-camera, I can’t really think of any better alternative. It is the cheapest flash in the Profoto system (altough not what most people call really cheap). I got two A1 from Profoto to test for a few days, and I mostly used them at home, but also on an assignment with an author and an illustrator. There are still a lot to be learned for me, even if they are easy to use. 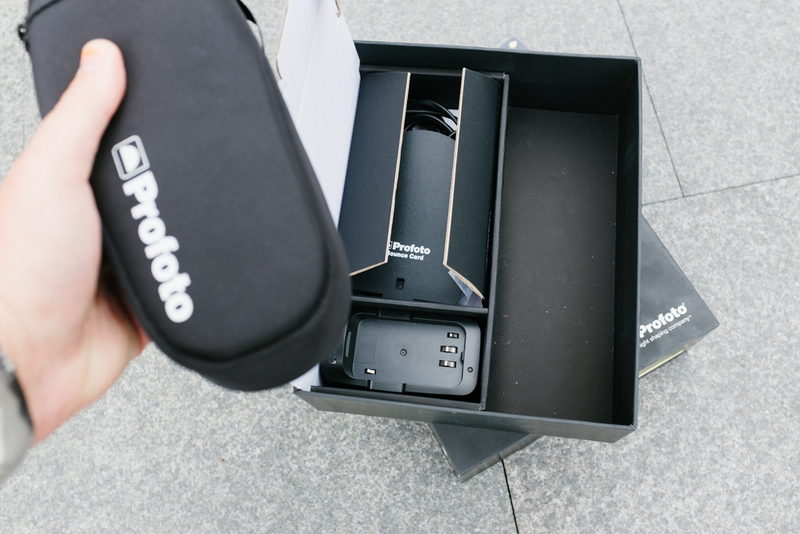 Opening the box, you will find the A1, a smart bag, the battery and charger plus a bounce card with a holder. And, two ”filters” that you can put in front of the light with smart magnetic connectors. One is like the drag-out plastic panel on a Speedlight, it spreads the light wider. The other is more like a small dome and will diffuse the light. You can also stack them on top of each other, but I couldn´t really see much difference in the light when doing so. 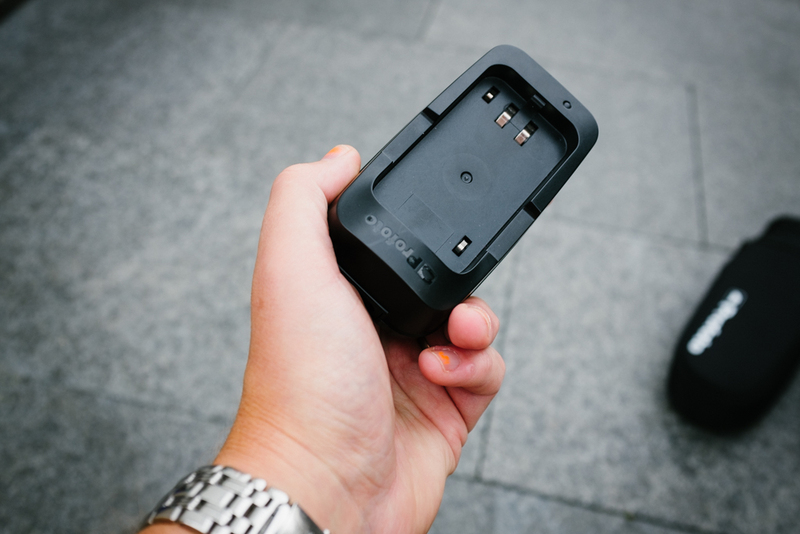 About the same size as the battery charger for my Nikon D800 and D750, the usual stuff with cord and all. Will recharge a battery to full in about 80 minutes. Even if a fully charged battery is good for many many full flashes, I will buy one extra battery per light. Just in case. It looks like this and you can see the detachable battery. The head can be tilted and turned as you would expect from any on-camera flash. It has a built-in LED modeling light. It looks very much like a Profoto Air TTL Remote, and maybe because that is what it is. Plus a light on top. Start it by pressing the white on/off button and then turn the dial a bit. The interface is very familiar if you have used the Air Remote or a D1/D2/B1 before. A round fresnel lens covering the flash tube, with a magnetic ring when you want to attach things to it. The front ring can also be turned for ”zooming” the light. 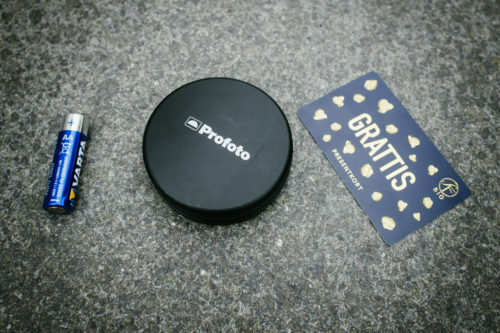 The diameter is a lot smaller than all the other Profoto heads, so don´t expect to put a Speedring with a softbox there. 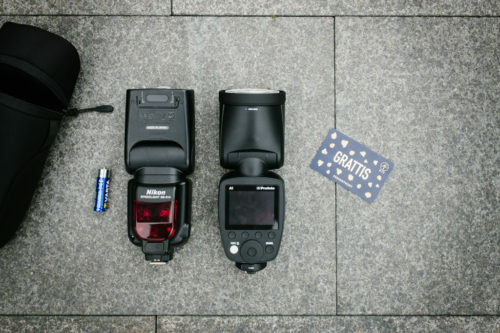 These two flashes are roughly the same size. 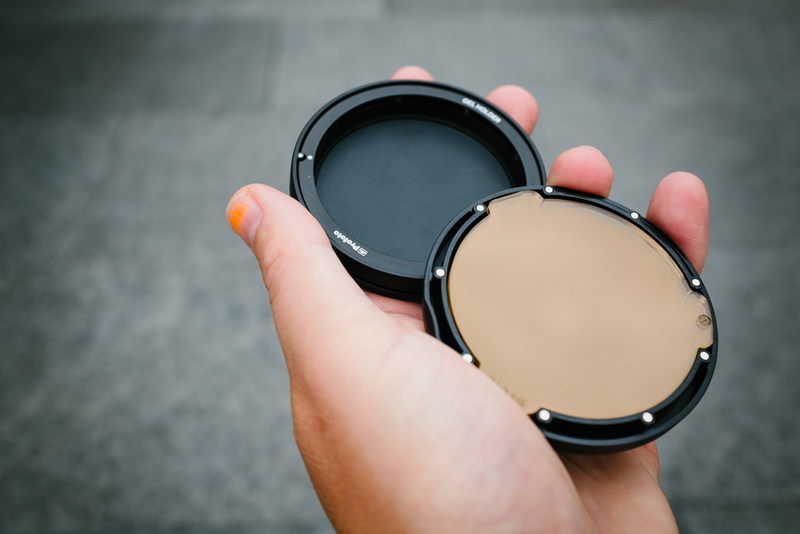 The Profoto A1 is maybe a tiny bit longer, but I would say that they are very similar holding them together. The round front glass is maybe what makes A1 stand out among similar speedlight type lights. Packing my bags for any assignment is always the hard question: should I take this, do I need this? 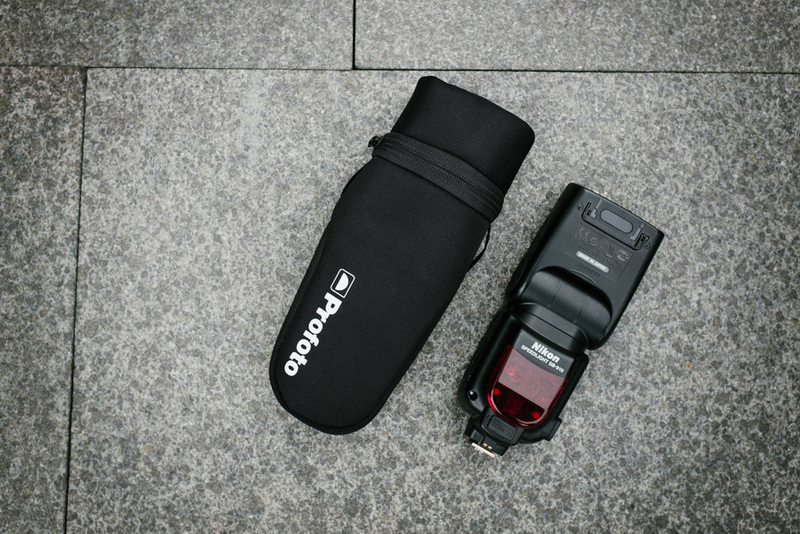 A Profoto A1 in its bag is smaller than a B2 with a head, and also smaller than a B1. If you have room for a B1, then you will have room for at least two A1. Probably more. This deserves mention, having small bags for all of my equipment makes my life a lot easier. 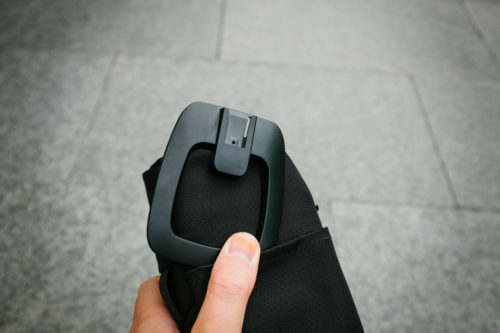 The A1 bag can be put inside a bigger bag or fastened outside my backpack with a cord. Inside the A1 bag there is a small space for the wideangle/diffusion accessories, both of them. Even better, you don´t have to remove them to fit everything inside the bag as the small compartment for the diffusion has a flap that will fold away easily. Not a big thing, but small things can make my work easier. Also included is a small table-stand for the Profoto A1 (or maybe a floor stand, or just to have it standing on anything?). With a small pocket for this on the bag, you can always have it with you. 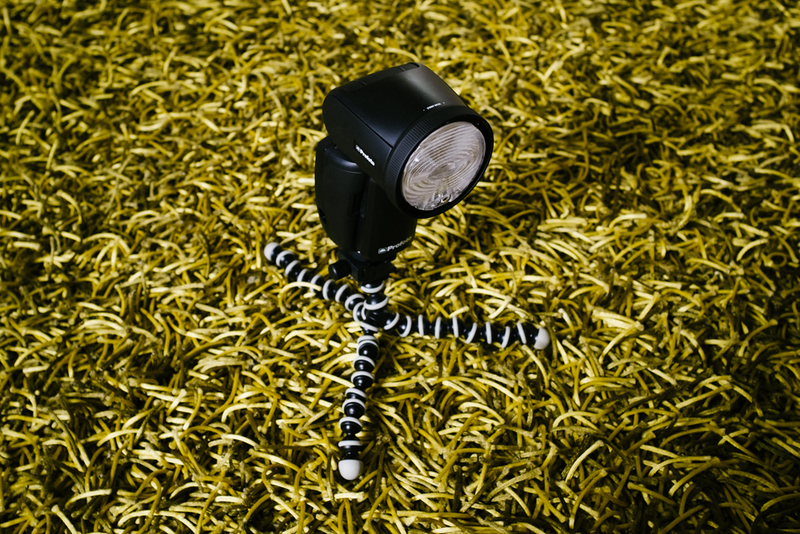 I have never use a Speedlight with a stand like this, but it is a lot smarter than just laying it on the ground. My Nikon Speedlight has a very small built-in bounce card, Profoto A1 has one too, but you will have to mount it by yourself with a small holder (also included). You mount that and other things in front of the glass with these magnets. It might not be as sturdy as velcro, but I think it will work just fine. It is a lot faster to work with at least. And very silent, compared to velcro. The ”dome” also has magnets you use to lock it in place with. If you want to colour your light, for correction or effects, Profoto has accessories for that too. Buy a Gel Kit separately and you will get a few hard plastic filter (CTO, CTB etc) that you attach with a special magnetic holder. Very easy to work with, a more durable than soft plastic. The box is round and small, compared to most things in my life. 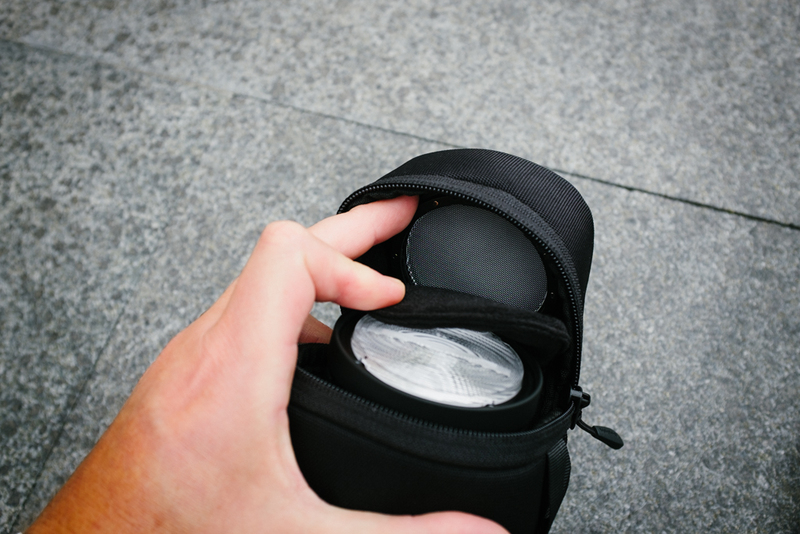 Fits perfectly in your back pocket, or anywhere. The magnetic holder fits the hard plastic gels and takes no time to attach, and leaves no marks. Just click to attach or pull to detach. I have not yet used the hard plastic colour gels, but just holding them in my hand makes me a little bit happy. And the round box. Won´t really miss the soft plastic alternative. If they now could make something similar for Profoto B1 and B2, that would be great. Maybe with magnets as well. And maybe a cutout for the umbrella rod to use it on B2? 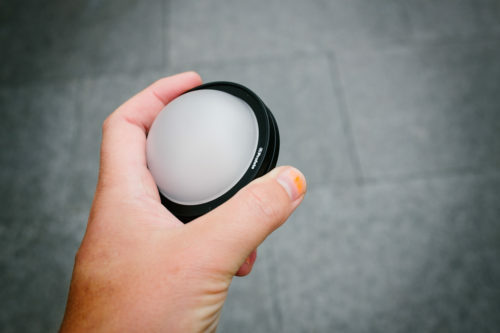 With its round features, very familiar design and interface, it feels like something that is a very natural on-camera part of my lighting equipment. 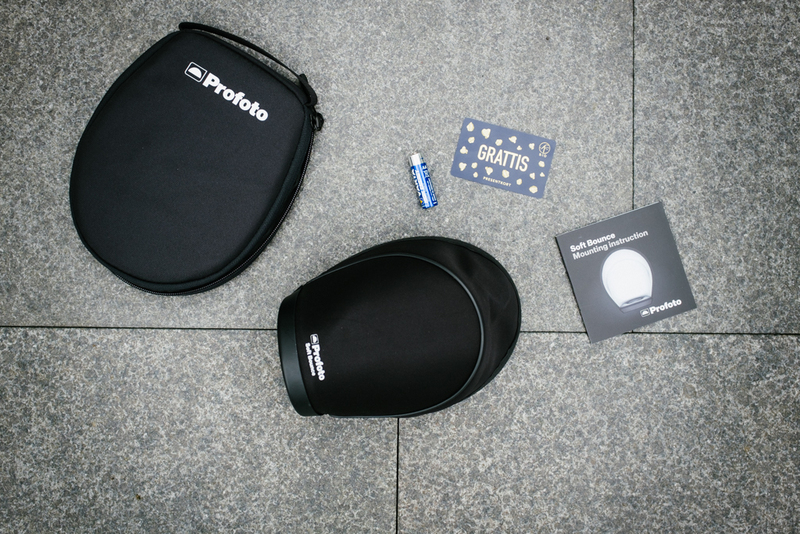 But that is of course because I have been using Profoto for many years. Users of other brands may disagree. Apart from what I think is a great addition that completes my arsenal of lights working well together, I am in a way most happy about the bag. The bag for my Nikon SB-910 feels a lot bigger than it needs to be. The A1 bag is more like a skin. And packing equipment in a bigger backpack or rolling case is simpler and quicker if I can just throw it in after a shoot. Not needing to worry about things scratching and crushing each other. 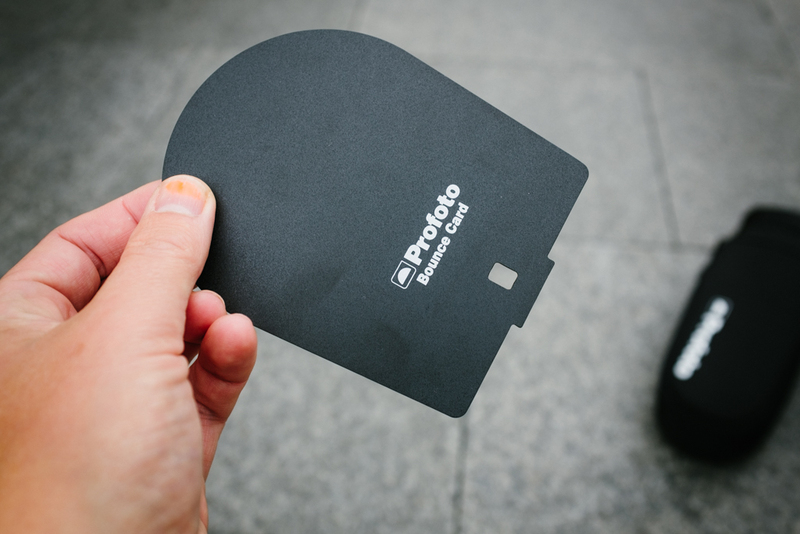 Another thing you can buy for your Profoto A1 is the Soft Bounce, a larger bounce card, quite a bit larger in fact. It comes with a nice bag as well, and folds easily. Just unpack it and attach it to the front of your A1 with magnets and you will have a more diffused light source for events or fill light. For my Speedlights, I have used a whole bunch of different diffusers over the years. The Gary Fong Lightsphere might have been the most extravagant one. And the one I used almost never. This one I might buy, mostly for the ease of use and the simplicity of having the flat bag hanging on the outside of my backpack in case I need softer light. One of the new thing with having a small and lightweight flash that works perfect in my Profoto ecosystem is being able to use ”new” attachment methods (again). Many of the accessories I bought in Strobist fashion for my Speedlights before will be of use again. For instance, this small Gorillapod. Maybe I will buy the larger version, but the small one actually works if I want to hang the Profoto A1 onto something, or just using it as a floor stand. 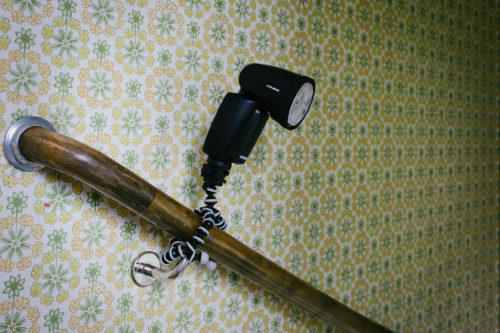 A clamp with a hotshoe connector can also be very useful when attaching a light to a door or anything it can hold on to. Since Manfrotto release the Nano stand, I have had at least one in the bag for different purposes. Mostly using it to hold a reflector or sometimes my DIY black flag made of Molton fabric. Now I can use them as my main lighting stands on smaller assignments. Just add a tilt connector for hotshoe and pack a small umbrella. That should be enough to use the A1 with my DIY homemade ring flash adapter, I think. This is the kind of transport tube architects and art students use for stuff, I bought mine in an art store just to try if it could be useful. Now it can. 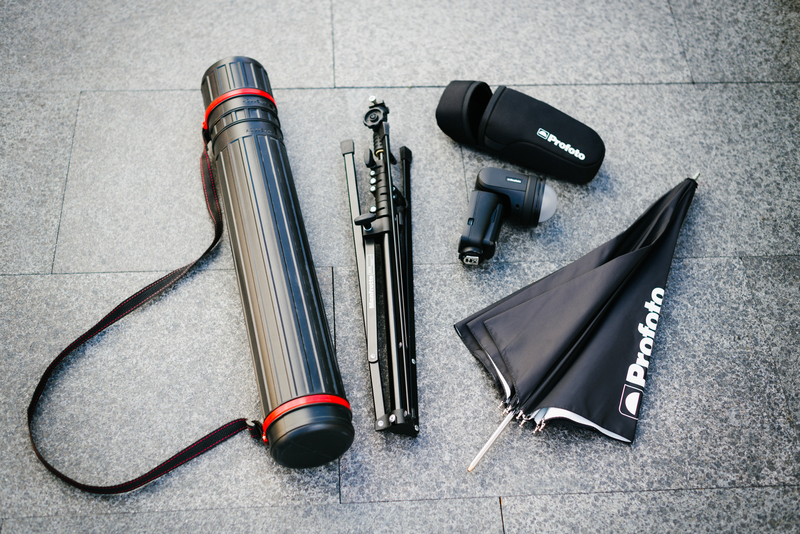 The weight of this tube bag is nearly nothing, and you can expand it to fit a Profoto A1, a small umbrella and a Nano stand. Maybe the smallest lighting equipment I have ever had? Turning the front ring of the light, you can change the focus of the light through the fresnel lens. From wide (above) to narrow (below). A small symbol on the top left corner of the display will change as you turn the ring. 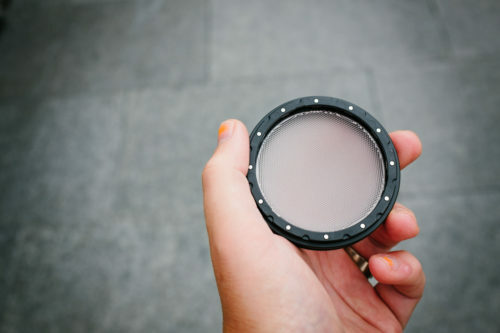 With the wide angle filter on, the light cone will spread wider. Adding the ”diffusion dome” will make the shadows less sharp. Will I buy a Profoto A1? I have already ordered two Profoto A1 in fact. 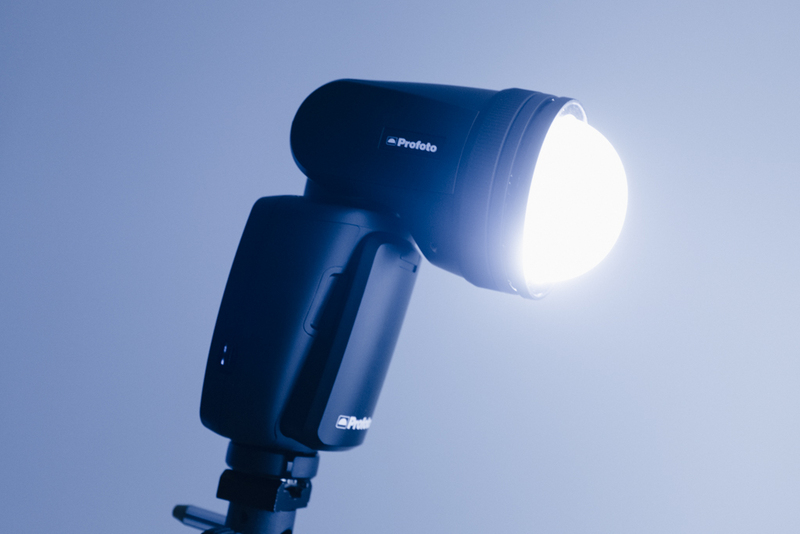 This is the Profoto light that I have been waiting for a long time now. And finally it is here. And it fits right into my lighting ecosystem perfectly. 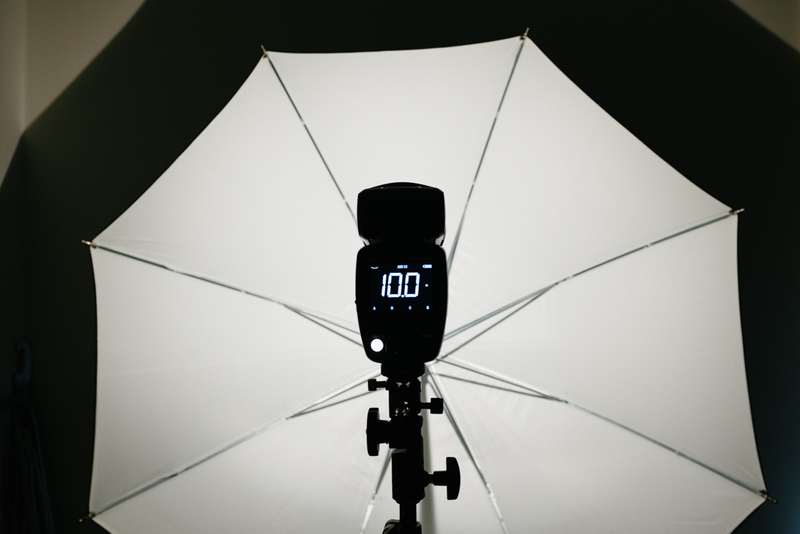 If you have been reading this blog or followed me on Facebook and Instagram, you might have picked up that I love to find solutions that makes my life as a photographer easier and the lighting quicker. I did try the Strobist way quite hard before, but as soon as I had bought a used Profoto AcuteB 600R, there was no turning back. And then came the Profoto B1. Maybe buying the B2 was more because I liked the idea of a lightweight head so much, not because I really needed it. But now I own one, and I use it quite a lot. Not as much as my four Profoto B1, but it is not collecting dust. Buying two heads was a bit unnecessary though. One of them I never use. Three things comes to mind directly. One is replacing my Speedlights as the on-camera flash for events and stuff like that. The other is for smaller editorial assignment when I want to travel with as little equipment as possible. Two Speedlight type lights will make lighting most editorial portrait something I can do quickly and painlessly. The third, but not the least, is always having at least one A1 in the bag as an addition to a B1 or B2. Sometimes as fill light, but maybe more often as hair/rim light. 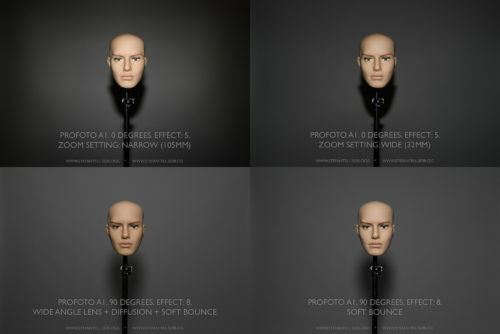 Will Profoto A1 replace my B1 or B2? The scenario that I find most probable is having a lot more lighting options but not necessary a lot more lighting equipment in the bag. Adding just one A1 in my backpack takes up the same amount of volume as a normal zoom lens. Maybe it will be enough to just bring two A1´s to a quick assignments, but I will probably still use at least one B1/B2 for the wider range of lighting modifiers. What is Profoto A1 not? This new product was unfortunately leaked on the internet, so before writing this review I have read a few comments about it. Comments that in many ways looked much like the comments when Profoto released the B2. Very much focus on Watt seconds. And the price tag. This is not a light you bring to a beach in the middle of a sunny day and place it ten meters away from a swimsuit model and hope to overpower the sun. For that purpose, I would rent a Pro-10. Or a B1 with a Magnum Reflector at least? And this is not a light that will give you the best specification per dollar either. If you just want to save money, there are other brands that aim for that part of the market. 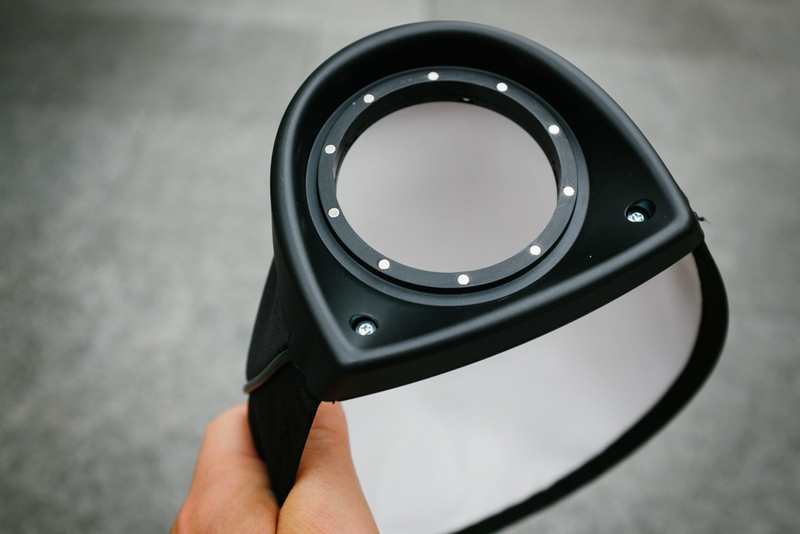 Sadly, this is not a light that will be compatible with all your OCF lighting modifiers. 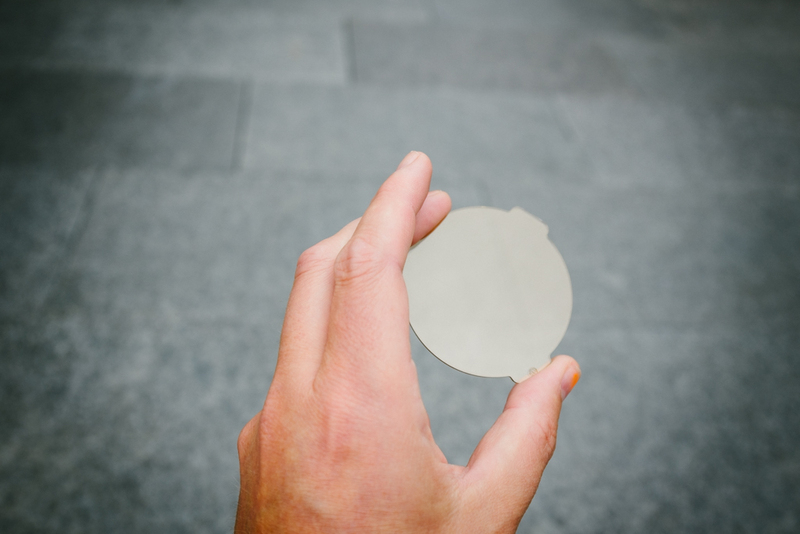 It might not be so hard to build an adapter to get the A1 to work with a Beauty Dish, just cut out a piece of foam with a hole in it. Building a speedlight type of light restricts you a bit to the strength of the hotshoe, so it is probably wise not to put too much weight on that part of a camera or flash. But it would of course be nice if I could use this in the OCF system in some way. 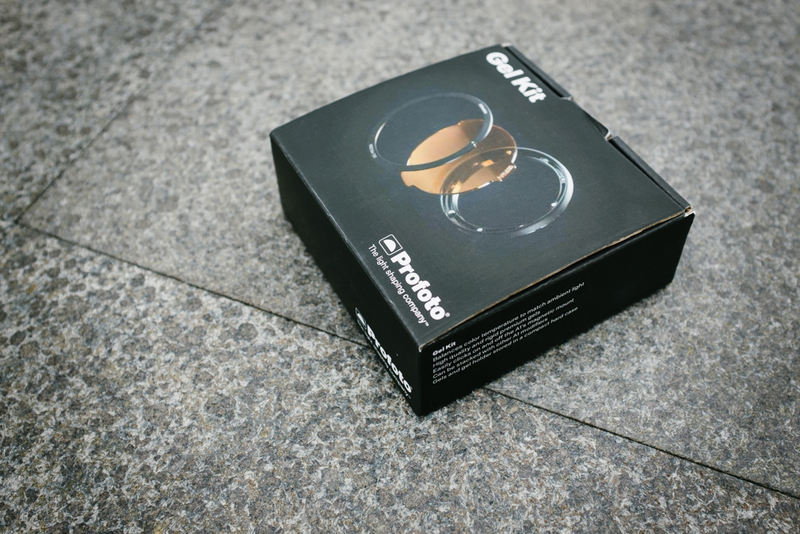 Maybe this will be a revival for the Profoto Speedlight Speedring adapter/bracket? I bought one many years ago and never used it very much. It took forever just to attach the Speedlights in the right position with all the screws and brackets. 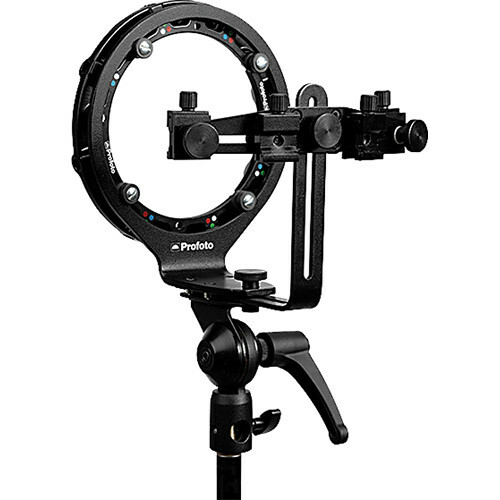 But, with that on a stand, you could use a Profoto A1 together with any softbox you would like. Why I might like the Profoto A1? I am a portrait photographer in Stockholm, Sweden. Right now, there is sunlight enough to work most of the day. But, a large portion of the year, photographers here can´t rely on natural light. That would be crazy, and very restricting. For me, to add one or two Profoto A1 to my lighting system makes a lot of sense. I like to pack enough equipment to manage most situations in portraits, from smaller group shots, to editorial portraits on-location and invidual portraits in a studio like environment. But, I really dislike to carry too much. One large backpack and one Manfrotto padded bags for my lighting stands is more than enough. Maybe a third if I bring more than one Profoto B1. I did just recently buy the ThinkTank Logitistics Manager 30, and it is the perfect rolling bag for me. 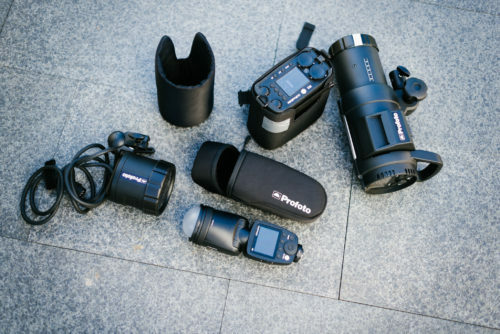 One or two Profoto B1 or B2 inside, together with cameras and lenses. Plus small or medium sized stands with a softbox or umbrella on the outside. With Profoto A1, I can easily add two more lights that can expand the choices in lighting I can work with a lot. Event photography is something I do, and packing one B1 plus at least one A1 would make those assignments very much more fun. 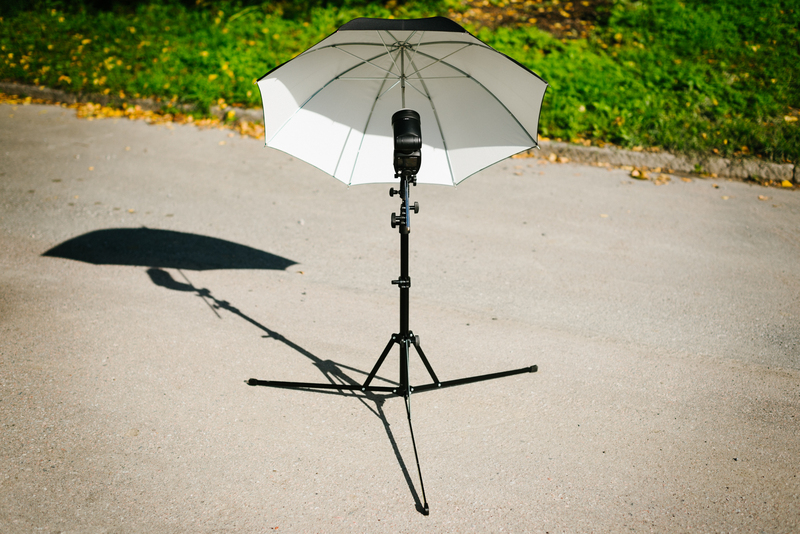 Place a B1 somewhere for a portrait setup, and have an A1 on the camera for everything else. Use the A1 as a remote and/or fill in the setup. I don´t do weddings anymore, but they are a bit like events. 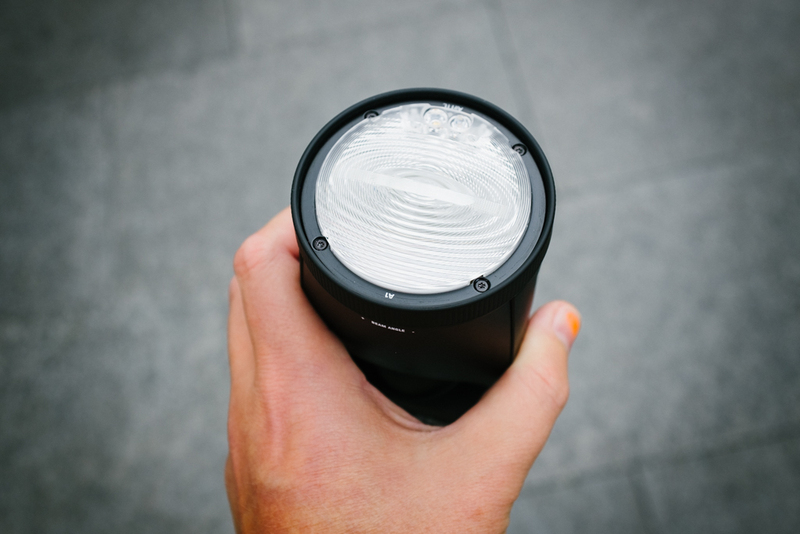 Therefore the A1 would be a perfect match for those who want a Speedlight but also an off-camera flash. 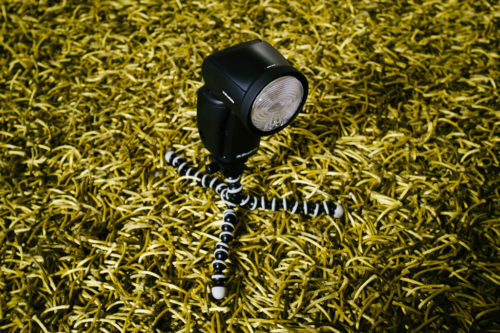 It might seem as a very expensive small light, but on the other hand, why not buy a versatile flash that you easily can place almost anywhere? I am sure that I will use my A1´s in the studio, probably not as main lights but maybe as hair light sometimes? Or anything. 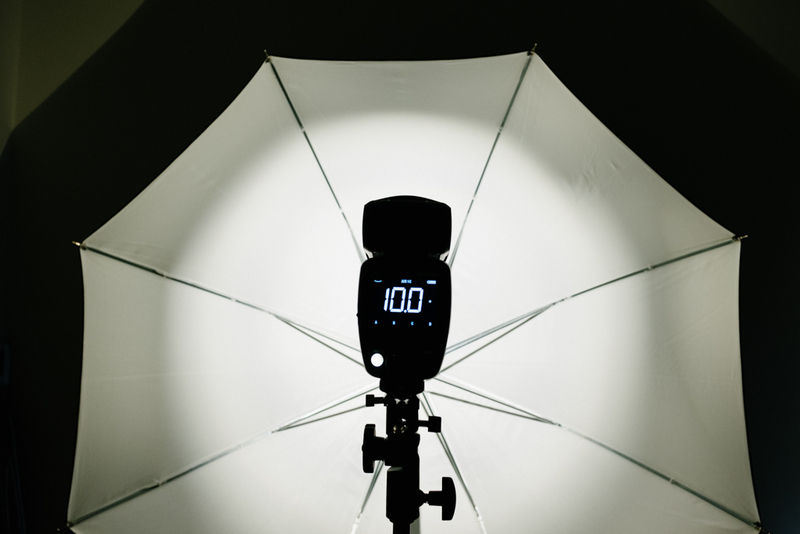 Buying a Profoto A1 as your first flash might seem a bit expensive, but it could be a really good investment. First use it on-camera as you would with a Speedlight, and learn how it works. 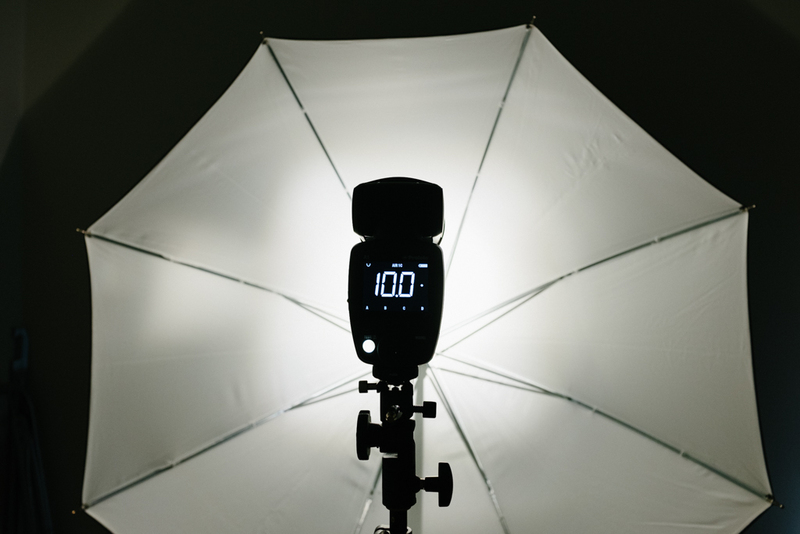 Buy a Remote or another Profoto flash to expand your possibilities. I could almost guarantee that starting with a Profoto light lets you explore portrait lighting quicker than with the complicated menus of a Speedlight. Yes, this is an expensive product. But, for me, working full-time as a freelance photographer, it doesn´t really matter that much. I could of course buy at least two Godox AD200 (or maybe three, or four?) that at a glance should fulfill the same needs for a photographer. If I would just need a small inexpensive light, a Godox would be more than ok. But I like parts in a system that works painlessly together, and mixing Profoto with Speedlights or other stuff is not painless. I will probably use this product almost every day and on all assignments the coming years. Having paid 300 or 995 dollar is not of much impact compared to the time and frustration I can save. And it is really nothing compared to the total sum I have invested in cameras, lenses or lights over the years. I have, as I said, already ordered two. Will you buy one, or two? Or not? Not enough details? 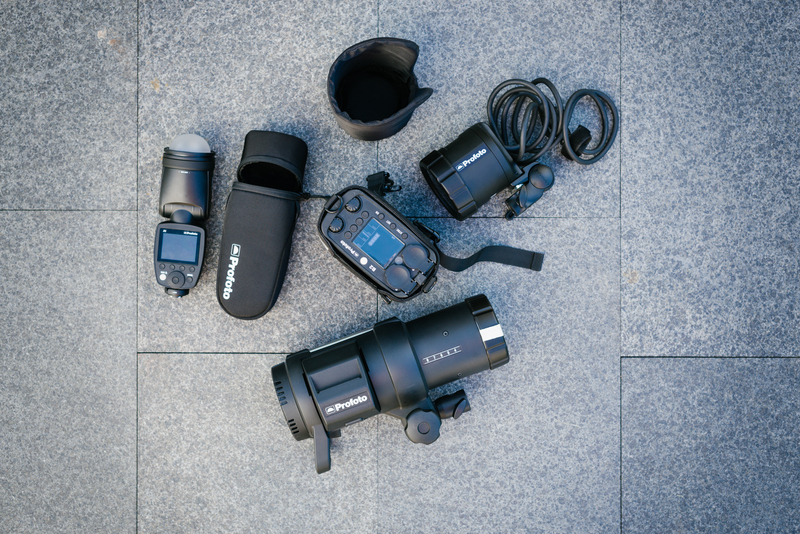 I think Flashhavoc has the best review of the Profoto A1 so far. 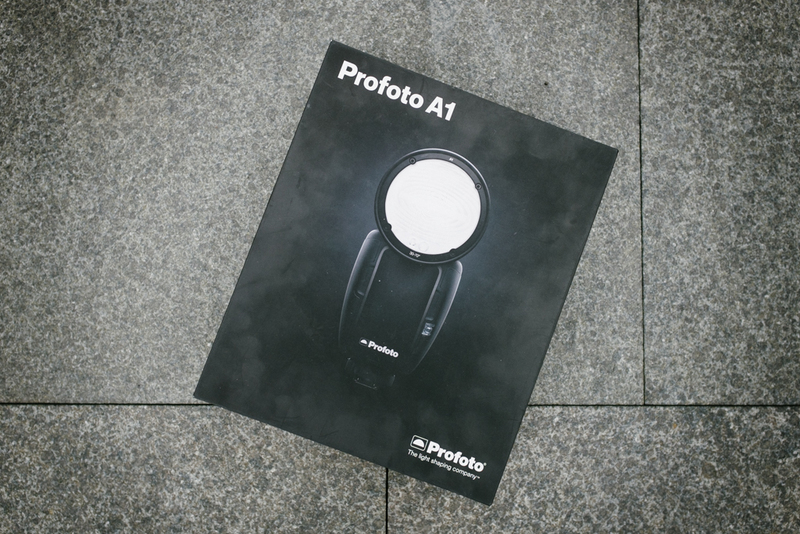 If you have any questions regarding the Profoto A1 you think I have the answer to, please write a comment. 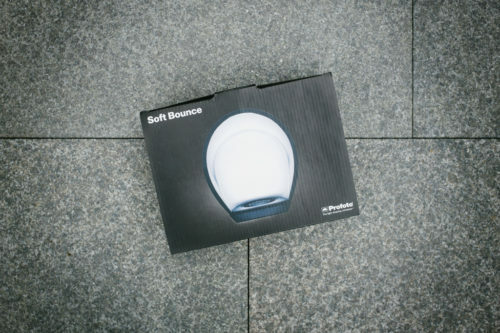 I have also bought a Profoto Soft Bounce for the A1, and in this other blog post I compare different settings, angles and modifiers to see the difference in light and light output. 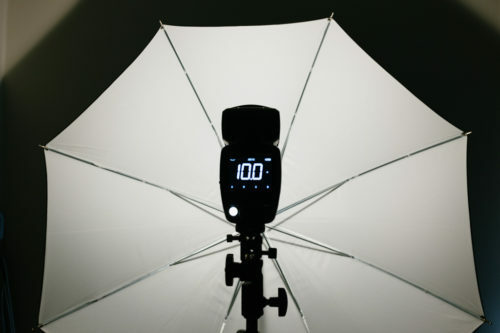 Might be interesting to some, and applicable on speedlights as well. Not the most scientific thing, but close enough. Thanks for the review! How does the standard bounce card attach to the head? It doesn’t seem to attach with the magnets. Is it possible to mount the card in any position, eg sides, front, and back of head? The head can rotate, so you could get any angle a speedlight can, or something like that. have a B1 only and I am looking for a fill light for portrait shoots. I also need a new flash for events. So this could tick both boxes. One question – do you know if I can control the A1 from the TTL remote I use to control the B1? So I can have control of both lights from my camera. I have only used it like that a couple of times yet, but can already say that it is a good combination for simple yet controlled portraits. And yes, you can use the Air TTL Remote to control A1 as well as other Profoto Air lights. Or use the A1 on-camera as a remote and/or flash. it works well in such a configuration, and you can always “zoom” with the umbrella to change the way the light looks. it sounds that you don’t really like the A1. I have Nikon, so I can’t really comment on the Canon-specific parts, but my experience (a few month now) with this product in not as bad as yours. Some of your complaints with the functions may be fixed via firmware updates, but the rest might be harder to do something about. Hope you will have better luck later on, I can only say that even if the A1 is not perfect, it is a very good lightweight addition to my other Profoto products. 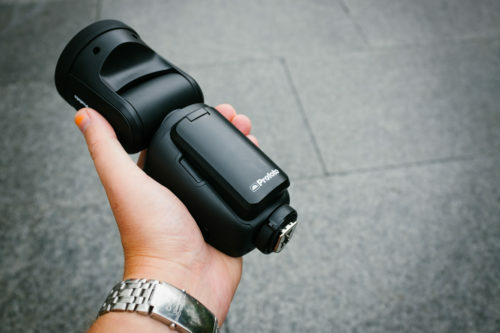 Many thanks for a really interesting and comprehensive review of what looks to be a lovely piece of kit. After using my two Profoto A1 for a couple of months now, I think the best thing is that I can add two more lightsources but only add a little more weight to my camera bag. That opens up a lot of interesting possibilities. Halkade in på din blogg via google sökning. 1. Hur skulle du säga att ljusstyrkan mäter sig mot Nikon SB910? Ser att A1 har 76 ws. Kan inte hitta motsvarande siffra på nikonblixten. 2. Går A1 huvud att vrida i sidled eller är det bara upp/ner? Till dina frågor: jag har aldrig jämfört ljusstyrkan sida vid sida med en Speedlight men när jag har den på kameran fyller den samma funktion, så jag gissar att det rör sig om ungefär samma. Och ja, man kan vrida den åt alla möjliga håll. 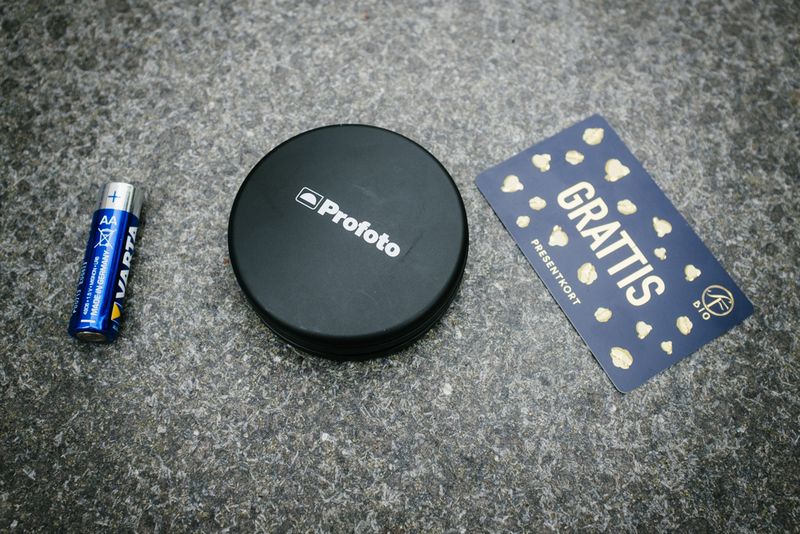 Sen får jag avsluta med att säga att den verkligen kommer till sin rätt om man kan använda den med andra Profoto-blixtar. Då är det smidigt att få ner en ljuskälla (eller två) i väskan som t ex kantljus eller liknande utan att man för den skull får särskilt mycket tyngre packning. great review! Can i ask you a question? Would you say the A1 is less powerfull than a SB910? Thanks, I used the SB910 and the SB800 before I bought two Profoto A1, and I would say that they can do the same kind of work on-camera, more or less. The main selling point, for me as an owner of other Profoto lights, is that I can get them to work together in a super simple way. If one or the other is more powerful doesn’t really matter to me, to be honest. 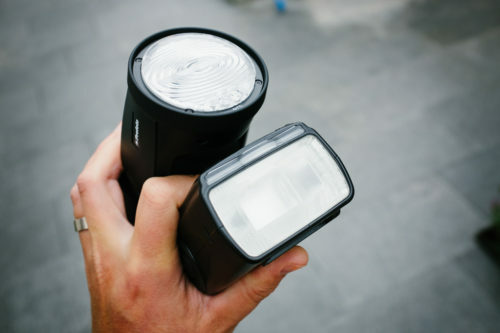 If you only want your flash on-camera, there might be more cost-effective products for that, I think. Hi, I just got my new Profoto A1 and would like to set it up same like you have with a stand, something to hold the umbrella and my A1 mounted on top. What did you use to hold your umbrella. 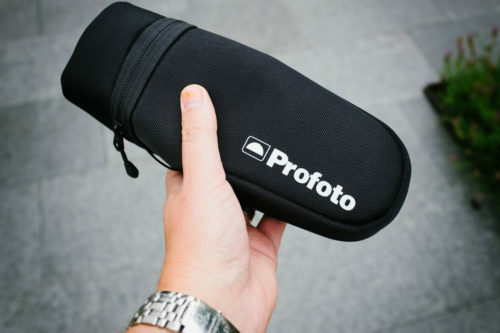 I have not been able to find what I need yet and Profoto keeps directing me to their RFI Speedlight speedring, which I don’t think I need if I just want to use an umbrella. Can you please advise? Hi, and congratulations to your new light. 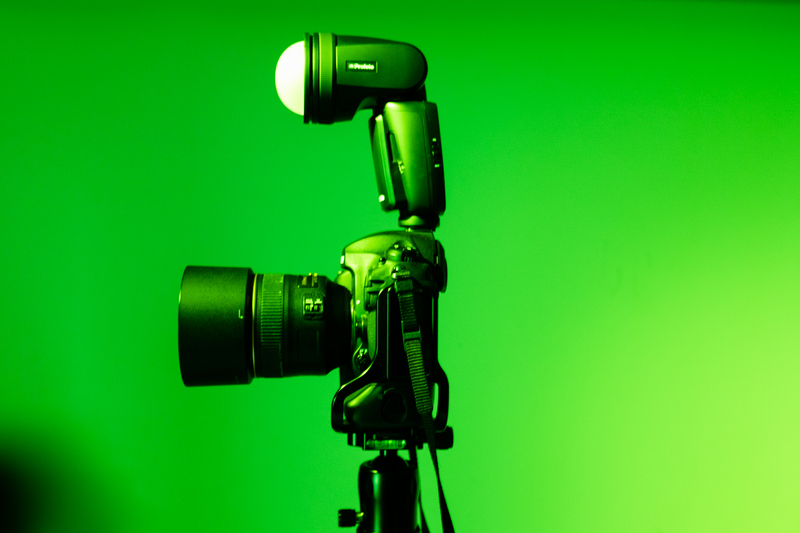 I use a tilthead from Manfrotto, but similar functions can be found from other brands as well. I just thought their solution was the smoothest. If you have any other questions you might think I can answer, just let me know. And good luck.